Scott Walker: Why the Wisconsin governor may still be a force to be reckoned with in the 2016 race. Yes, he ran a terrible campaign, but he may yet be a player in the 2016 race. Wisconsin Gov. Scott Walker speaks at a news conference announcing the end of his presidential campaign on Sept. 21, 2015, in Madison, Wisconsin. Scott Walker’s swift departure from the GOP presidential race on Monday could be interpreted as an embarrassing failure for a man who was until recently a conservative folk hero. But I believe that Walker has done himself and his party a service, and that he has instantly become a leading contender for the vice presidential nomination. Here’s my analysis of what happened to Walker—and my case for why we’ve not yet heard the last of him in this race. What was Walker’s fatal flaw? 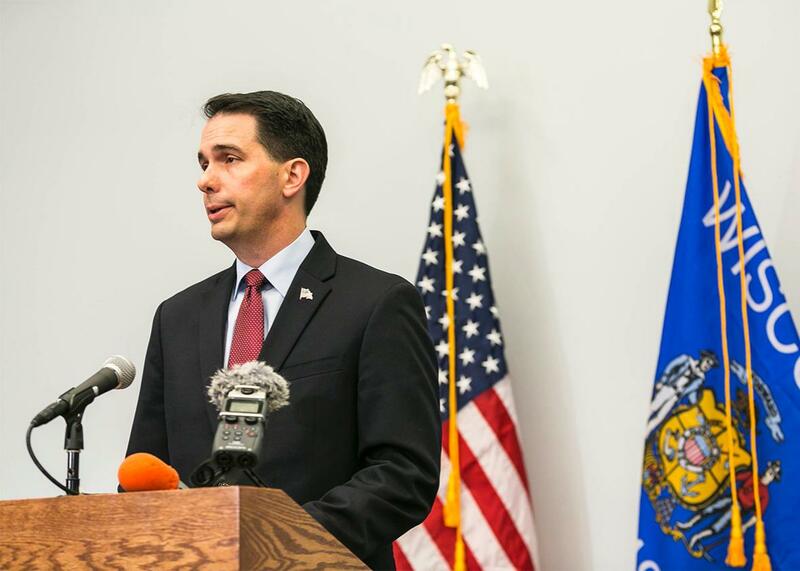 Since Walker officially announced his presidential campaign in July, he has underwhelmed the conservative media with his strange inability to answer straightforward questions regarding his views on domestic policy issues of particular interest to the right. I appreciate that most Americans don’t spend every waking moment pondering the fate of the Export-Import Bank or whether we as a country ought to rethink birthright citizenship. To GOP diehards, however, these are very important issues, and Walker’s failure to develop considered positions on them cost him. Conservatives across the country admired Walker for the steeliness he demonstrated over the course of his yearslong battle with organized labor in Wisconsin. A few weeks of waffling greatly diminished this reputation. Wait. How can it be that Walker hurt himself by not having considered positions on important domestic issues when Donald Trump and Ben Carson are leading the GOP field? No one really expects Donald Trump to have plausible things to say on these matters, least of all Trump’s most devoted admirers, who love him for his rare combination of rage and what can only be described as “sassiness.” Similarly, Ben Carson has attracted the devotion of conservatives, and in particular of evangelical conservatives, by virtue of his humility and his air of quiet seriousness, not his mastery of policy detail. The same rules don’t apply to Walker, a sitting governor who is not, for all of his other virtues, a terrifically magnetic personality. Isn’t the ideal GOP candidate someone who can appeal to the grassroots conservative activists and the fat cats who bankroll the party? Didn’t Walker fit that bill? Sort of. In GOP presidential races, it is common for there to be a moderate conservative who commands the support of the fat cats and one or several ideological conservatives who, if they’re lucky, win the backing of a committed cadre of small donors. Then there are the candidates who try to thread the needle by being more conservative than the “establishment” candidate but not quite as fire-breathing in their right-wingery as the “outsider” candidates. Tim Pawlenty tried to occupy this niche in 2012, as did Rick Perry. In 2008, this role was played by Fred Thompson. The trouble with this middle-of-the-road approach is that it can be the worst of both worlds. If you come across as too bloodless and pragmatic, you won’t convince activists to embrace your candidacy, and to fuel your campaign with hard money donations. If your populism is too pronounced, you will alienate the Wall Streeters who might have bankrolled your super PAC. Basically, it’s really hard to navigate this middle course, and Walker just couldn’t pull it off. It’s at least possible that another candidate—Carly Fiorina? Marco Rubio?— might be able to do so in the months to come. Couldn’t Walker have recovered? Couldn’t he have at least tried to get up to speed on national issues and build strength over time? The short answer is probably not. If Walker believed that he was a man of destiny and that the future of the republic depended on his willingness to tough it out, perhaps he could have muddled through for a few more months, lying in wait as other candidates stumbled. To muddle through, however, he’d have to either radically trim the size of his quite big and expensive campaign staff or he’d have to raise more hard money. As Josh Kraushaar of National Journal notes, Walker managed to raise a handsome sum for his super PAC, but his super PAC could not pay for his staff or for his travel. Paying those bills meant attracting donors to Walker’s formal campaign apparatus, and it’s hard to attract donors when you’re in the low single digits in the polls and you’ve faded to the point of invisibility on the debate stage. Walker was faring so badly that had he limped to another debate, he might have been relegated to the kids table—which might not even be around next time. I’d say that Walker has spared himself and his family a lot of sleepless nights. So why do you think Walker would make an excellent vice presidential nominee? Walker has bought himself plenty of time to study up on national issues away from the national spotlight. Though he ran an awful campaign, he showed occasional flashes of blue-collar charisma that could serve him well as a second banana. His somewhat awkward straddling of the line dividing the outsiders from the insiders could end up serving him well when it comes time for the nominee to choose a running mate. If one of the outsider candidates wins the nomination, Walker could serve as a steady pair of hands. If one of the Latino-friendly Floridians wins, Walker could shore up support among working-class white voters with his unpretentious vibe and his paeans to discount retailers. Don’t count Scott Walker out yet.